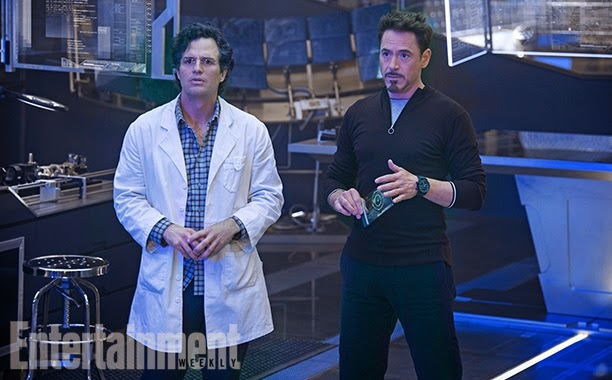 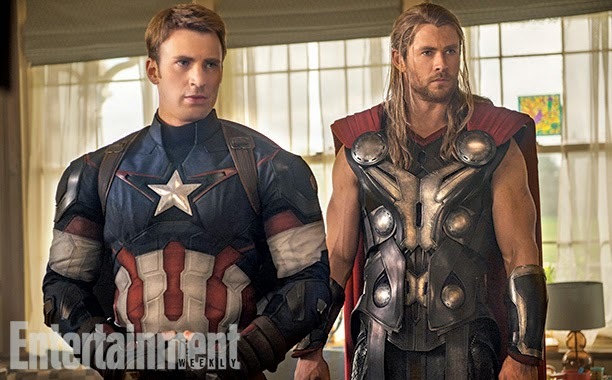 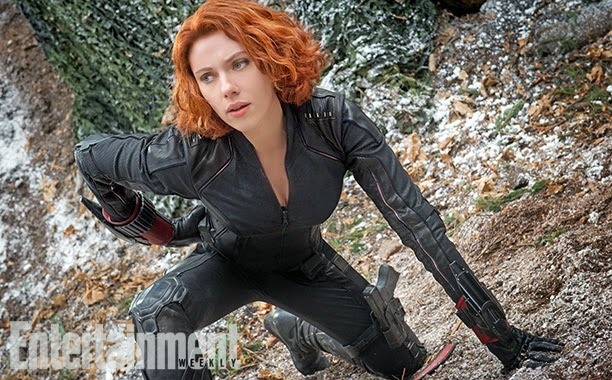 Kryptonian Warrior: Avengers: Age Of Ultron - First Official Images! 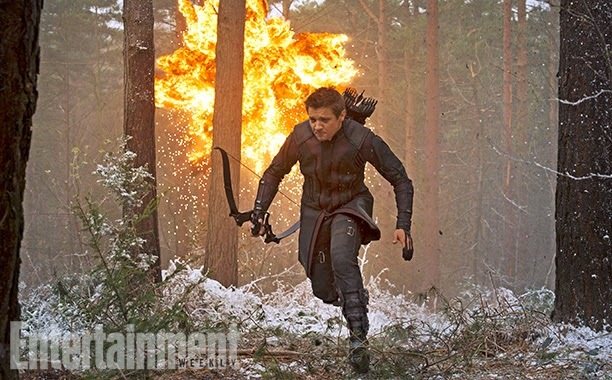 Okay so this lit up the internet yesterday when it all popped up online. 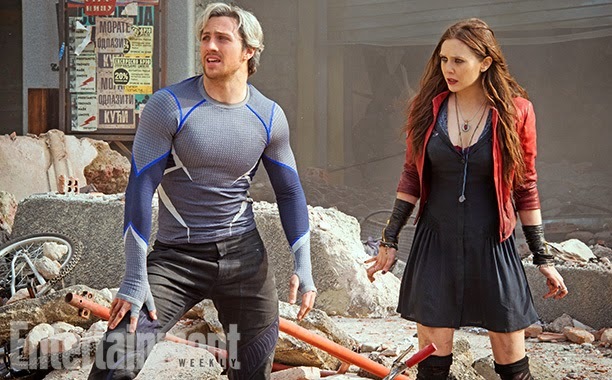 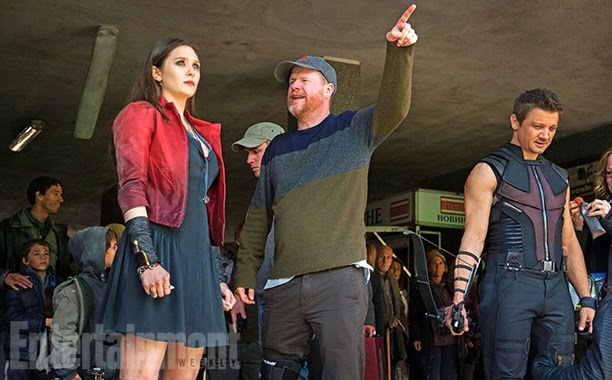 The first batch of official images from Avengers: Age of Ultron via Entertainment Weekly showing not only our first pic of what Ultron will actually look like but also shots from the movie, behind the scene shots, and character/action shots. 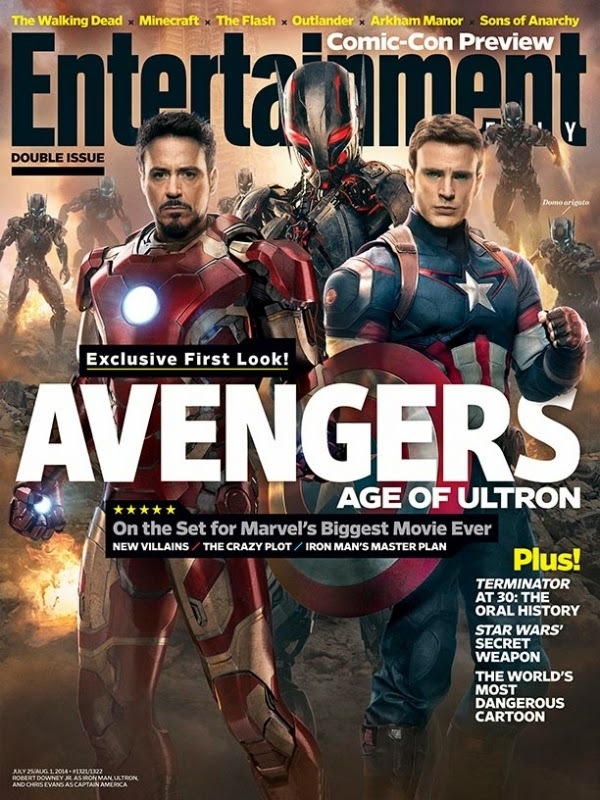 1) Multiple Ultron drones on the EW cover. 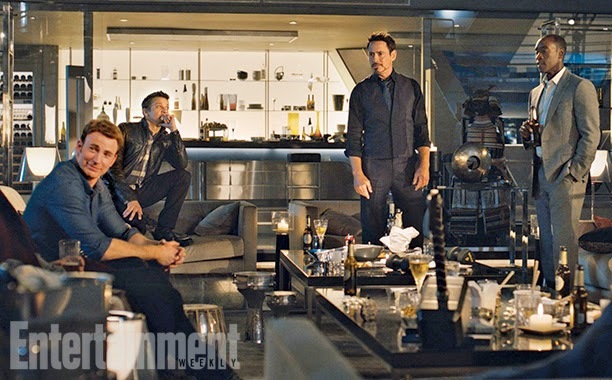 2) Don Cheadle (War Machine/Iron Patriot) in the group shot (loving Thor's Hammer just sitting on the table) promising his inclusion in this film (we hope suited up). 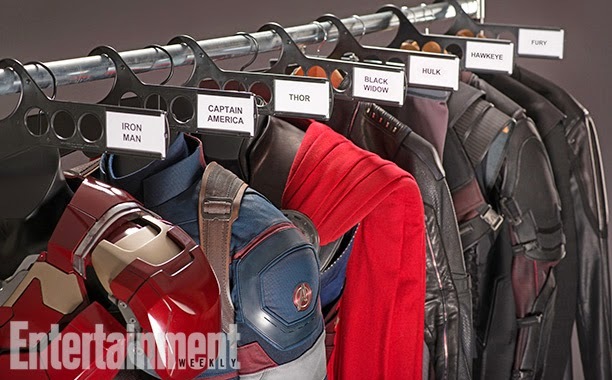 All of the pics are great and having recently had confirmation via Kevin Feige about the huge inclusion of Avengers Tower (previously Star Tower) and the Iron Man "Hulkbuster" suit taking on Hulk (we saw the artwork ages ago and could only have hoped this was real) this is set to be another amazing Avengers movie!